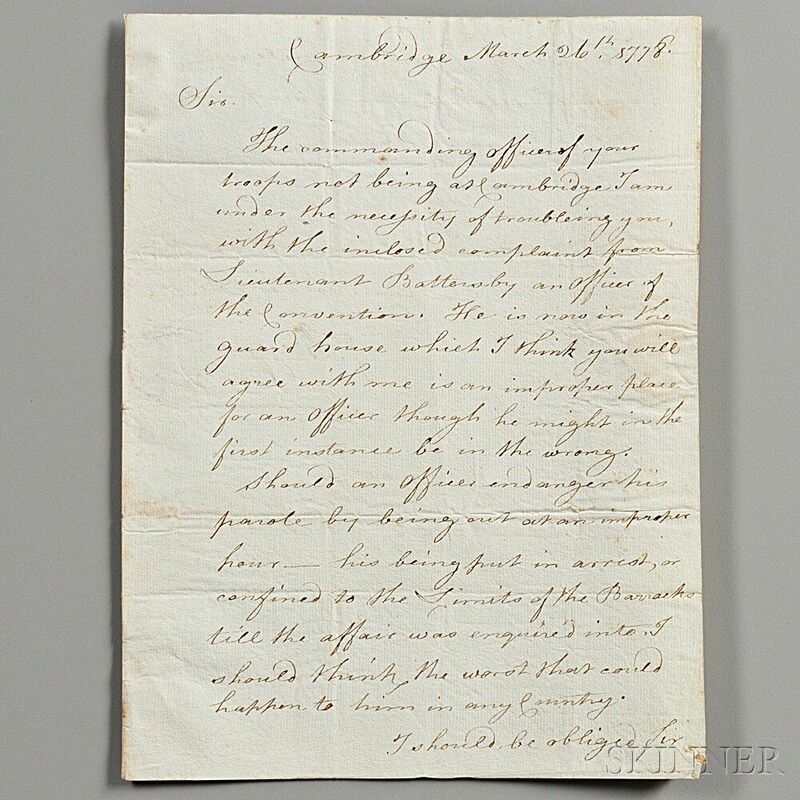 Burgoyne, John (1722-1792) Secretarial Letter Signed, 26 March 1778. 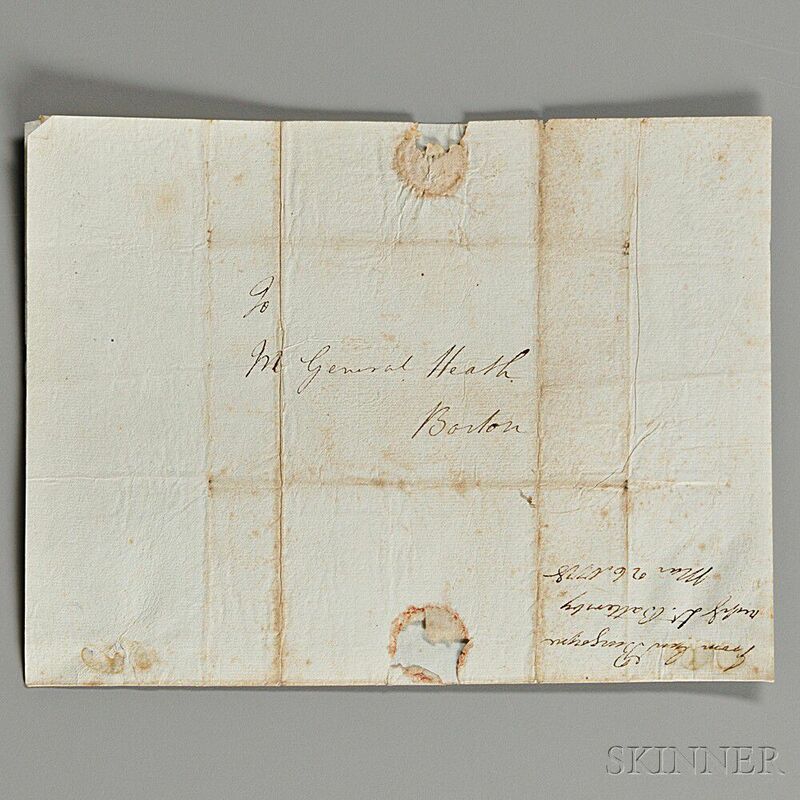 Burgoyne, John (1722-1792) Secretarial Letter Signed, 26 March 1778. 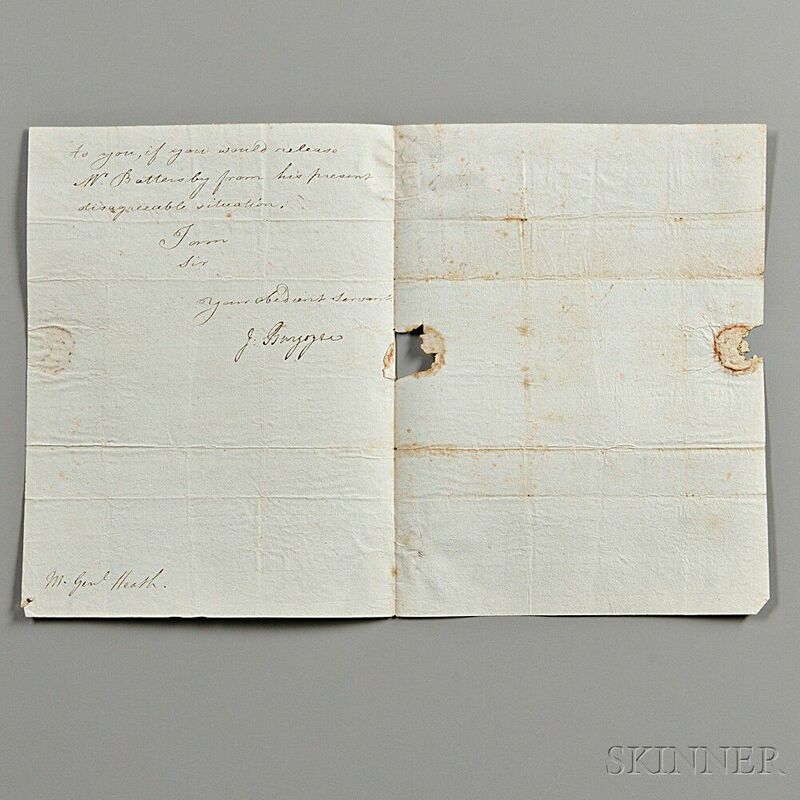 Folded laid paper bifolium, pale blue, with self-envelope; inscribed on two pages. 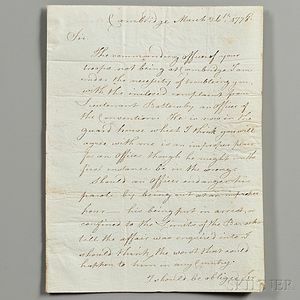 To William Heath (1737-1814) concerning the confinement of an officer, Lieutenant Battersby, to the guardhouse, and the error of this treatment. Old folds, toning along the fold lines on the envelope side, holes in the paper where the sealing wax has broken away, slight glue remnants from old mount, also on the envelope side, 9 1/2 x 7 in. folded.